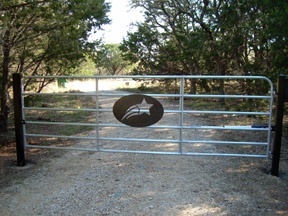 Price- $3,250.00 installed with Patriot gate operator. 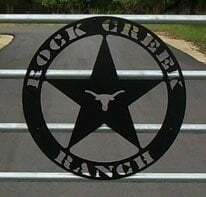 Artwork, silhouette, ranch brand, etc. is optional. Add $150.00. Available in 10', 12', 14', 16'. 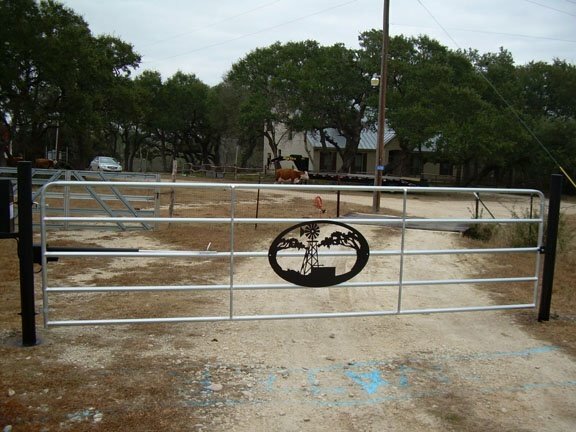 Includes 4" steel square tube gate posts. 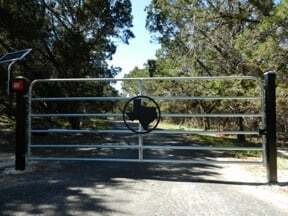 Includes postholes, concrete, onsite welding. 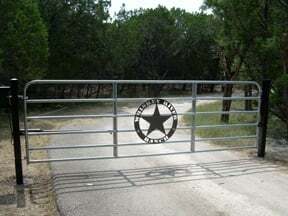 Optional- ranch brand, logo, address, etc. Add $150.00. 5 year control board warranty. 3 year warranty on all other parts. Hold open feature for parties, deliveries, projects, etc. 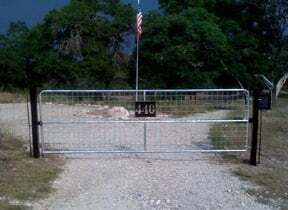 Rated for gates up to 16' in length and 650 lbs. 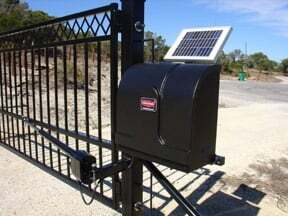 Our Patriot operator installations include a 12 Volt sealed maintenance free battery, 6 Watt solar panel (for solar option), battery charger (for A/C option), LCR radio receiver, and two LCR push button remote transmitters. Remote transmitter for Patriot $35.00. 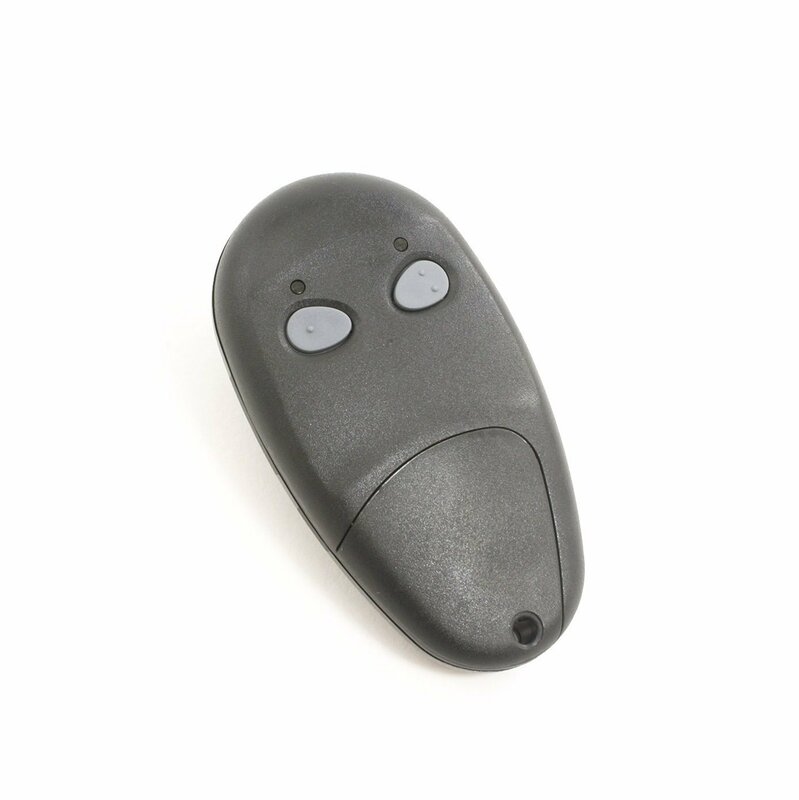 Remote transmitter for Multicode $30.00. 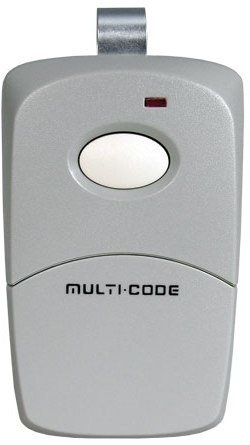 Millennium code entry keypad $350.00. 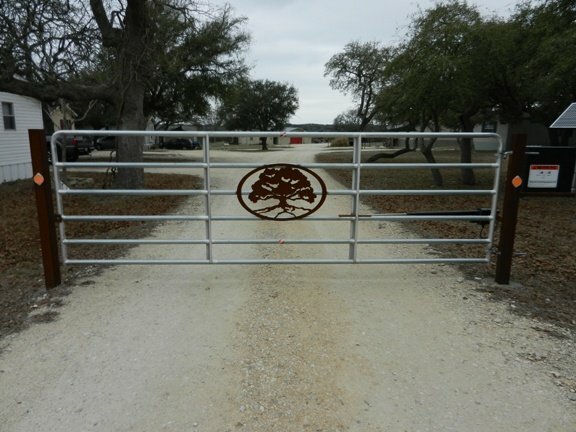 Millennium code entry keypad and keypad access pedestal $450.00. Includes standard trenching. 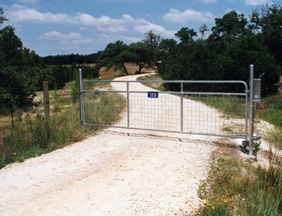 Rocky areas requiring a rock saw will be an additional charge. 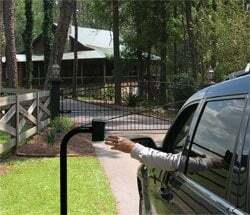 Solar panel and battery up sizing available for higher traffic useage.